The scent of a fig tree always reminds me of summers in Greece. At my father’s village, there was a big fig tree in the back garden, we enjoyed its shade all those hot summer afternoons and we waited patiently for those figs to mature so we could eat them. My father remembers fondly that very same fig tree, which was the largest in the village by the way, and his father (my grandfather who lived over 100 years) who would go out to the garden and pick the figs first thing in the morning so that they could eat them for breakfast. Figs are known as an important food for the ancient Greeks. They were part of their “food ideology” because they were produced in Greece and therefore represented loyalty but also frugality and the simple life. But figs were also important for the modern Greek: the cultivation of figs in Greece used to be extremely high. Up to the mid 20th century, it is said that figs represented 20% of food exports for Greece. As time went by less and less fig trees were cultivated, it should be noted though that Greece is still one of the largest producers worldwide. Greece has many varieties of figs that are unknown outside of Greece and many dating back to antiquity, such as the ones I used today known as Vasilika (the king’s) which are green. Greeks traditionally eat figs plain, (fresh or dried). They also make spoon sweets and preserves. These little packages are rich in fiber with one little fig providing 1.5 grams of fiber, antioxidants and a variety of vitamins and minerals. Dried figs have an even higher nutritional value as they are in a more concentrated form. 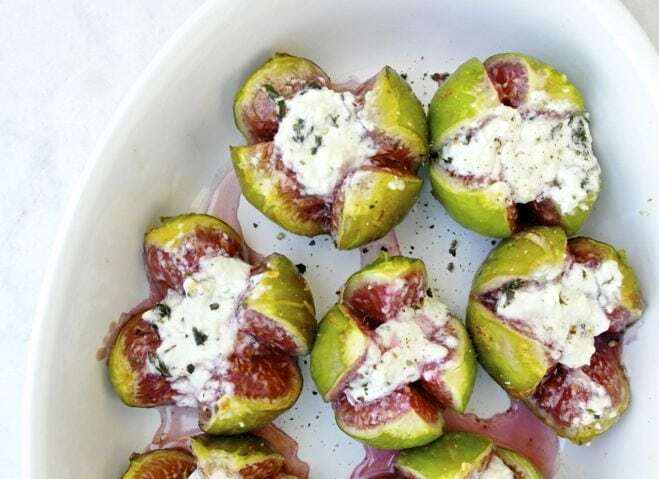 For this recipe I used fresh figs with a bit of feta cheese and mint. 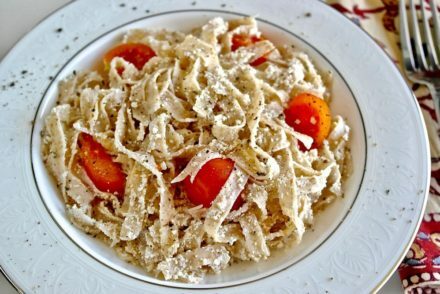 The combination is a classic sweet and salty taste and can be served as an appetizer or even as a side dish. You do not need too much feta and the roasting makes the figs juicier. 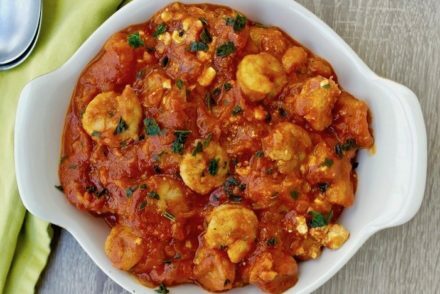 A nice, decadent looking appetizer that is actually good for you. In a bowl mash the feta with the yogurt and the mint. Cut off stem and make two cuts to form a cross, slightly opening the fig. With a small teaspoon tuck in some of the feta mixture (you may have some feta leftover). Thank you for this recipe! Figs are in season here in California – can’t wait to try this. My husband and I just visited Greece for our honeymoon and I was overwhelmed by how wonderful the food is. 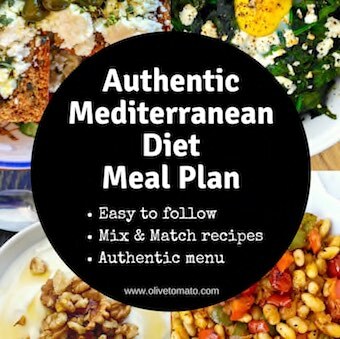 I discovered your blog and look forward to trying many of your healthy recipes! Soo delicious! 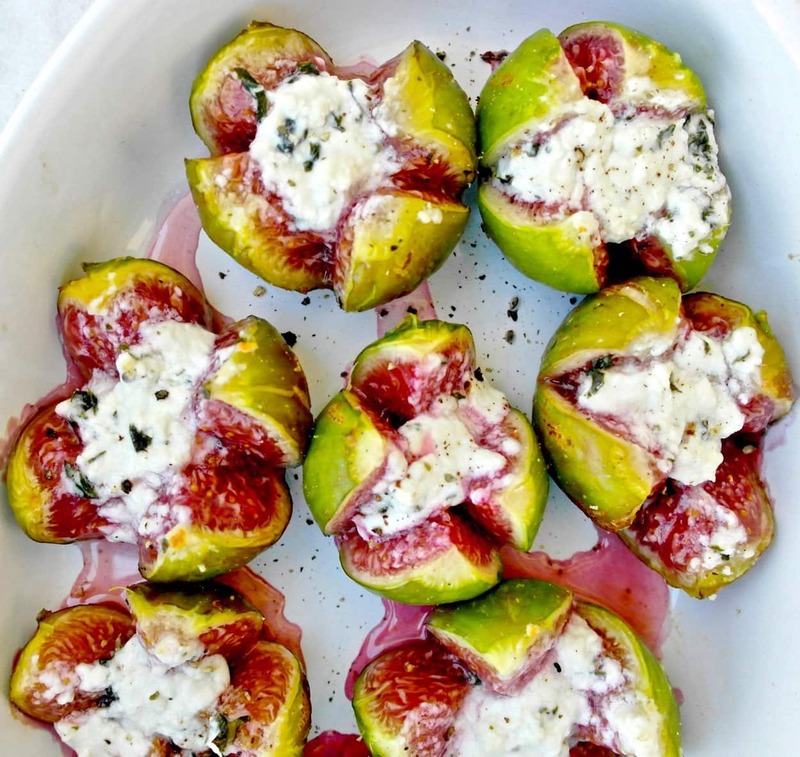 I’ve never thought of combining feta with figs! The only drawback is that when you start eating you just forget to stop, along with the calories!! 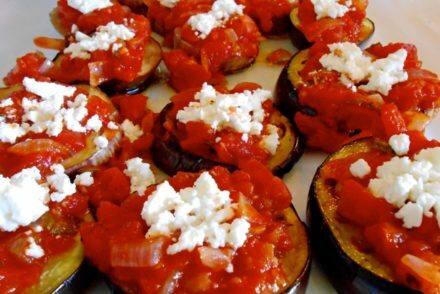 Congrats for the site, the recipes and the “advertisement” of greek cuisine! Thanks Natasha. Yes, that’s one of the drawbacks. Thank you!